Having a BHD? 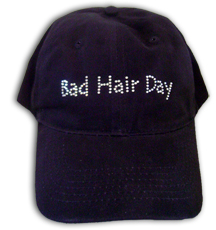 Our Bad Hair Day cap will still have you looking fabulous! In sparkling premium rhinestones.